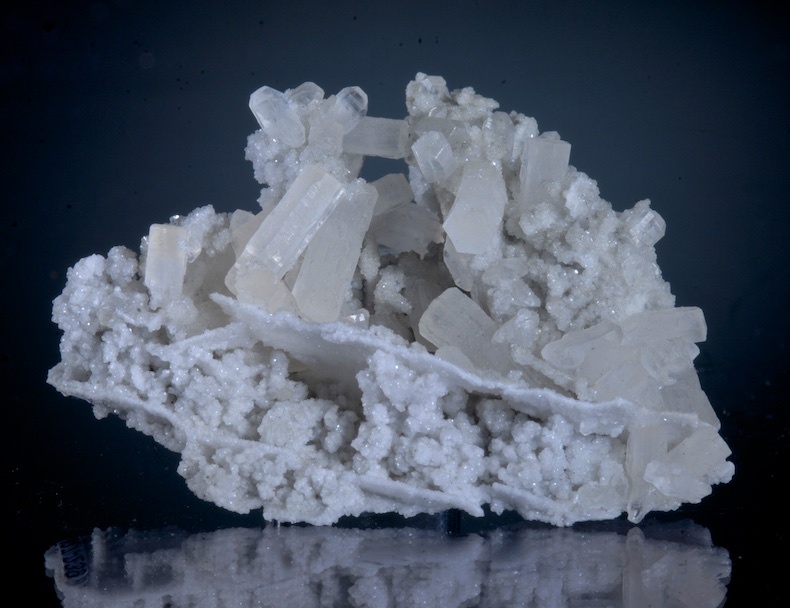 Very large to 5.6 CM across Magnesite crystals clustered on a Magnesite matrix from this classic locality. 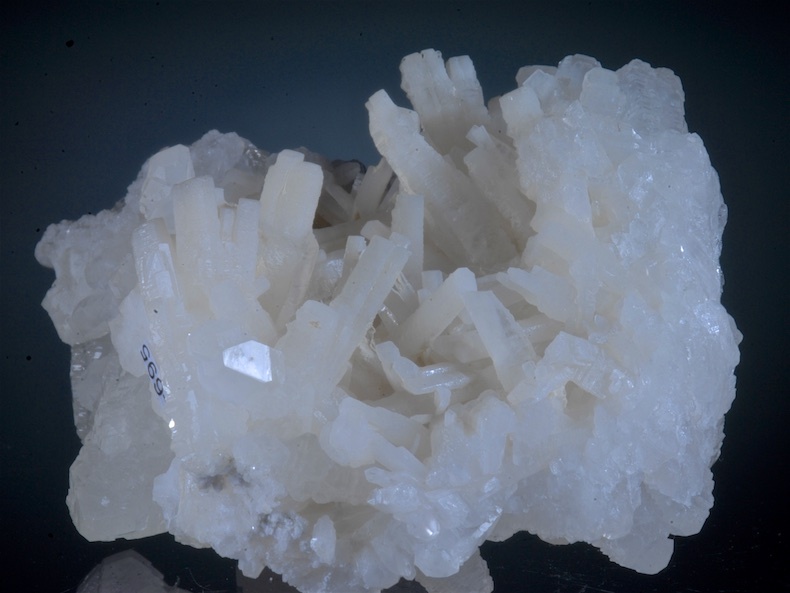 Kaswassergraben is famed for these rare and unusual hexagonal crystals unlike any other locality. 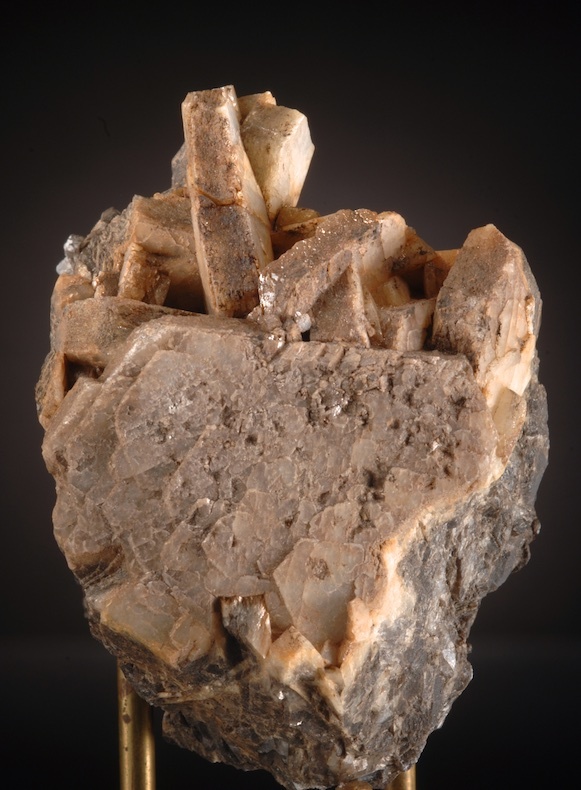 This is an excellent example of a rare matrix piece with huge crystals for the locale. The back side is broken from the host rock but the front side main crystals present well with a fine pearly luster and stepped growth faces. I have not seen many of these and this is by far the largest crystal cluster I know of, other large crystals are usually about 2 CM at best.